Data and analytics are ever present in our world today. At every point in a consumer’s journey, data is collected — be it a purchase, transaction, or the consumer’s digital, social, and online interactions with the brand. A vast sea of data, gathered for every product and consumer, whether online or offline, is available to brands now. The question is, does your organization effectively translate and act upon this data? Many brands just simply accumulate this data without using it for strategy and decision making. When it comes to sponsorship, data enables brands to make sponsorship decisions more effectively. This guide by Hookit is tailored for brand marketers and based on our extensive experience and data insights gathered from working with clients. Also included is the first look at the HOOKIT BRAND SCORE, a measure of sponsorship effectiveness for brands calculated across key industry segments. The Hookit Brand Score provides sponsors with an accurate measure of how well their sponsored properties promote their brand and allows for benchmarking against competitors in their vertical and also across other categories. 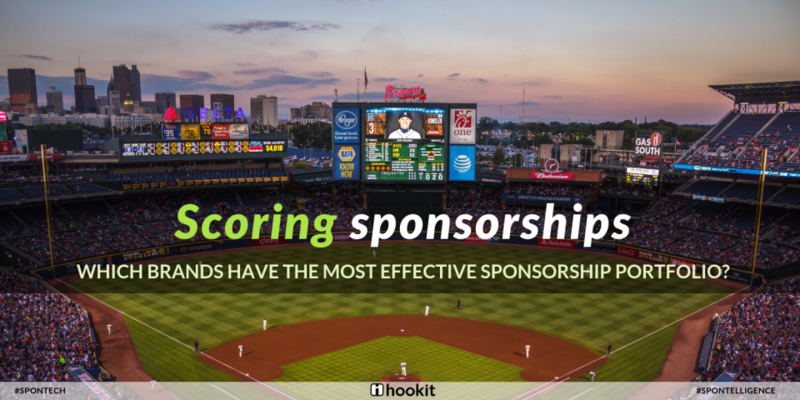 Hookit’s brand guide is an essential read for brands, that features the latest in sponsorships, along with a deep dive into the TECHNOLOGY category and the brand new HOOKIT BRAND SCORE. Download your copy below!